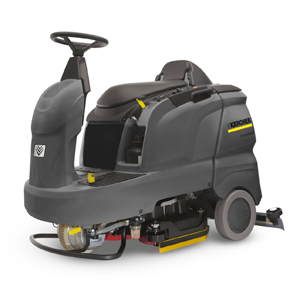 Karcher’s walk-behind floor scrubbers are the most diverse of its kind and made with innovative technology. Great for cleaning medium to large areas of up to 28,000 sq. ft. per hour. Ride-on floor scrubbers are powerful and highly effective cleaning machines. They’re comfortable and designed for industrial use, capable of scrubbing up to 64,000 sq. ft. per hour.